This shot is probably not fair. You’ve been warned. Everyone is preparing for the start of the third arena season and we’re excited to get new items, rewards, and fresh competition going for everyone participating in the arenas. As we approach the previously announced start date we’ve had growing concerns of what the new season requires of us to actually launch, and its proximity to the Thanksgiving holiday. Everyone wants the launch go as smoothly as possible, and in order to have resources available to tend to any issues as soon as they may spring up, we’ve decided to delay the Season 3 start date to November 27. One week after the previously announced date. This allows us to have the quickest response time to any issues should they occur, and allows everyone to enjoy the holiday and the days leading up to it. While making everyone wait another week obviously isn’t the optimal outcome, in the end we decided it would be much worse to start Season 3 so close to the holiday and potentially make players wait longer until a problem can be resolved. Ultimately it allows us to provide the best possible service for everyone as we launch the new season. Non-gamer types might wonder if there really are people whose holidays would be RUINED by broken game mechanics, but you and I (and the Blizzard Collective) know better, don’t we? Very crowded with pissed off players. What you can’t see are all the dead people still running back into the zone to fetch their bodies after logging in. 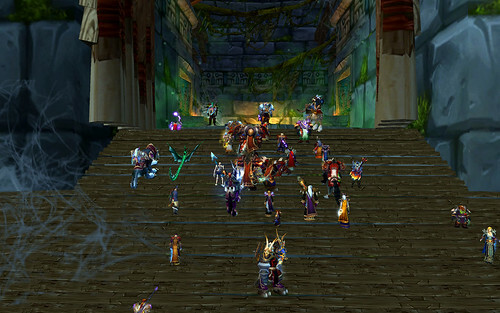 You also can’t see the two Alliance guys who were PVP flagged and tried to escape the newly-flagging Horde by running back into Zul’Aman, but failed … and died … and we all had a good laugh. They had even /yelled HEPL!! a few times, which made their predicament all the more hilarious. We’re aware that the Shaman Tier 6 restoration set currently does not have a cost requirement on it and we’re working to resolve this as soon as possible. We will be going to great lengths to remove the items already purchased, and tracking them down if they’ve been moved or converted in any way. Do not enchant or socket a gem into the items as they will be deleted when the item is. Hopefully, they’ll squash a few more bugs along the way. In addition to all the threads about the changes to Global Cooldown, Alterac Valley, guild bank startup costs, and etc., I found this nutball’s forum announcement that he intends to level 9 characters, one of each class, to level 70 before the release of the next expansion: 1 through 70, 9 Times before WOTLK! His characters, as of a few days ago, were all in their early to late 20s, so … he’s got a ways to go. I’m doing kinda the same thing currently I have 7 characters I play 1 of them a day then move on to the next. I have 4 horde and 3 alliance on 2 different pvp servers to switch it up a bit. In the past I’ve tried this and I rushed into it way to quickly and burned myself out so I’ve parental controlled my time on my account to try to prevent from losing interest in this game to quickly. 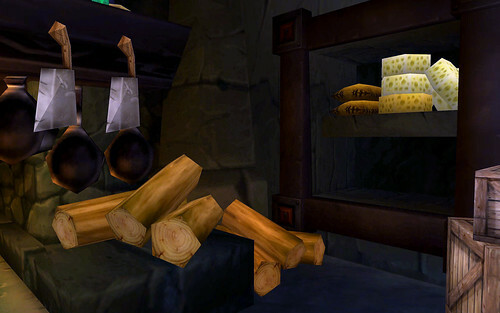 World of Warcraft comes equipped with so many barriers already, I didn’t realize that some players would INVENT their own barriers … for fun. They probably don’t even consider them barriers — I’ll bet they call them challenges. BONUS: A forum thread collecting the undocumented patch changes. The thread author has some catch up to do on editing the original post, so you’ll have to read through the later pages for now.